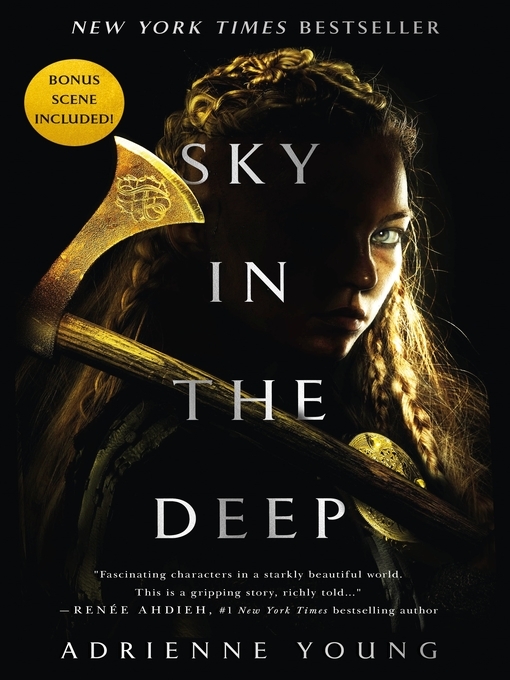 Drawing on Viking history and lore, debut author Young crafts an exciting, at times heart-wrenching story centered around 17-year-old Eelyn, her Aska clan, and their centuries-old war with the Riki. Every five years, the clans meet at Aurvanger to fight because of a perceived disagreement between their respective gods, Sigr and Thora. Eelyn watched her brother, Iri, die in battle, and now she wants to avenge him. But when she is attacked by Fiske, a Riki warrior, Iri steps in to save his sister: Iri has not only survived, but he has joined the enemy. Determined to figure out why Iri abandoned her clan, Eelyn seeks Fiske out on the battlefield and is taken prisoner. Once in the Riki village, Eelyn realizes that perhaps the two clans aren’t so dissimilar and begins to question the war. Young’s often poetic writing (“The cliff jutting up from the water like a wall. Green moss climbing down it in long, bright strands”) forms a stark juxtaposition with her vivid descriptions of battle and bloodshed, creating a clear picture of the brutality of war. Ages 12–up. Agent: Barbara Poelle, Irene Goodman Literary.